Just take that in for a minute…..
What is a word? Why was Jesus called “The Word?” Why are words so powerful? Why, according to Proverbs 18:21, is death and life in the power of the tongue? We see in this first portion of John the incredible creative power that the word possesses. 2) a being or object believed to have more than natural attributes and powers and to require human worship; specifically: one controlling a particular aspect or part of reality. If the Word is God, then God is the Word, then both definitions should accurately describe both the Word and God. If these definitions are not interchangeable in our minds, then our understanding of God and His Word are lacking. Posted in Christianity, Faith, identity, Victorious Living! When God created Adam, He gave Adam His own personal authority to use in making decisions and fulfilling God’s instructions for His stewardship. This authority is called FREE WILL. Free will was given to man so he could willingly choose, without any coercion or pressure, how he would serve his creator. Free will allowed man to express himself freely and creatively as he learned and grew in knowledge and experience. Unfortunately, it also gave man the power, and the right, to say NO to God. YOU WERE CREATED WITH YOUR OWN PERSONAL AUTHORITY, A FREE WILL. Free will can potentially be the most destructive thing to the Kingdom of God. Exercising your free will in saying NO to God will limit God’s influence and power in your life. The Kingdom of God in your heart has boundaries. Operating within those boundaries enables God’s influence and power to flow into your life to meet your needs and the needs of others. You violate authority when your choices don’t align with the will of the authority you are under. When you violate authority it cuts off the influence and power of that authority. Not just in your own life, but in the lives of those you are involved with. We must walk in HIS ways, not OUR ways if we want the promises of GOD, and the power of GOD to be a reality in our life. Gods power only flows under the covering of his authority. His authority can only be exercised within the confines of His Kingdom. When you exit the covering of the Kingdom, you exit the flow of power. When you say NO to God, in essence, you establish another kingdom, I call it: The Kingdom of ME. The Kingdom of Me is established when you willfully say no to God. Saying “NO” to your Lord means that He is not your Lord in that area of your life, and if He is not Lord in one area, He is not Lord in any. Being Lord of your life means that He is the Master of ALL areas of your life. God will not invade and overthrow your kingdom, it is out of His jurisdiction. It would be a violation of your free will. If you say no to Him in any area, you are declaring that YOU are the master of that area….and you cannot serve two masters. Say “NO” to God, and you’ve set up boundaries to keep God out of your kingdom. It is your own free will that determines the boundaries for both the Kingdom of God, and the Kingdom of Me. How you steward your will determines the authority that you operate from. The extent of Kingdom authority in your life is determined by your use of free will. If your will is completely submitted to God, you have truly laid down your life, you have denied yourself, your old man has died and you can now truly walk in the highest authority in the universe, the authority of God. This is your original design and purpose. This is what was lost at the fall of Adam. This is what Jesus Christ paid for and came to restore. Posted in identity, kingdom authority, Victorious Living! Confession of God’s word can be a tremendous help in establishing you in truth, building your faith, and moving you forward in your spiritual growth. God’s written word contains the building blocks of faith. Speaking His word is the mortar that holds it all together, solidifying our identity in Him, raising us up into a holy and righteous temple, a fit dwelling place for the Holy Spirit. Speaking God’s word should be a priority in every Christians life, unfortunately for most, it is not. Confession should not be a mindless reciting of scripture, but an intimate part of your relationship with God. When confession is approached properly it will enhance your relationship with your Father and enrich your prayer life beyond measure. Confession should be lifted up to God as an offering, a statement of faith that lets God know that you agree with what He says about you, no matter the situation or circumstance. Confession aligns you with God’s thoughts, sets your heart in agreement with His plans, and affirms your identity as His child. Confession is prayerfully returning God’s word to Him, acknowledging your agreement with His will, and inviting Him to bring His word to pass in your life. It activates angels that hearken to the spoken word and puts them to work, bringing God’s word to pass in your life. (Psalm 103:20) If you could only see what happens in the spirit realm when you speak God’s word in faith, you would never go another day without doing it. The following are some examples of how I prayerfully confess God’s word. They are scriptures that speak to my heart. passages that the Holy Spirit has illuminated to me as being important in my life. I recommend reading the scriptures in your favorite translation and notice how the confession has been personalized for a conversation with God in relationship. Be mindful of scriptures that jump out to you, that have an unction on them, and personalize your own confessions. Joshua 1:8 ~ Father, Your Word will not depart from my mouth, but I will meditate on it day and night, that I may observe to do according to all that is written in it. Then I will make my way prosperous and I will have good success. Job 22:28 ~ When I declare and decree Your word, it is established to me and light shines on my ways making my path clear. Mark 16:17 ~ I am your disciple Lord Jesus, in Your name I cast out devils, I speak with new tongues. If I touch or consume any deadly thing it will in no way hurt me. I lay hands on the sick and they recover. John 16:13 ~ The Spirit of truth abides in me. He guides me into all truth and shows me things to come. Thank you for Your Holy Spirit Lord. Isaiah 54:17 ~ No weapon formed against me will prosper, and every tongue that rises against me in judgment, even mine, I shall condemn. This is my heritage as your servant Lord and my righteousness is from You. Colossians 1:9 ~ Because of your Holy Spirit, I have perfect knowledge of what to do in every situation and I am filled with all wisdom, spiritual understanding and the knowledge of Your will for me. I am the righteousness of God in Christ Jesus. You love me so much, that You thought I was valuable enough to die for me. Thank you Father. Acts 19:6 & Acts 1:8~ The Holy Spirit has come on me. I speak with tongues and prophesy. I have received power because the Holy Spirit has come upon me and I am a witness for Jesus to the end of the earth. Philippians 4:6-7 ~ I do not worry and I am not anxious over anything, but in everything by prayer and supplication with thanksgiving I make my requests known to You God, and Your peace, that passes all understanding, keeps my heart and mind through Christ Jesus. Mark 11:23 ~ Father, because You have made me a creative being, like Yourself, I speak to things, situations, sickness, disease, and demons, and they obey all me. I believe in my heart that those things I say will be done so I have what I say. My words have power and I use that power to change situations, help people, to destroy the works of the enemy and give glory to You Lord God. Psalm 103:2-5 ~ Lord You have forgiven all my iniquities; You have healed all my diseases; You have redeemed my life from destruction; You have satisfied my mouth with good things so that my youth is renewed like the eagles. Philippians 4:19 ~ There is no lack in my life Father, for You supply all my needs according to Your riches in glory by Christ Jesus. Romans 8:28 ~ I love You Father and I am called according to Your purpose. All things work together for my good because You love me so much. Philippians 4:8,9 ~ Father, You have given me the mind of Christ, so I think on the things that are true, honest, just, pure, lovely and of good report. If there is any virtue or praise, I think on these things. I am a doer of Your word Lord, and Your peace is with me. 1 Peter 2:24 ~ Jesus I thank you for bearing my sins. I am dead to sin and I live unto righteousness and by Your stripes I am healed. Romans 8:11 ~ The same Spirit that raised up Jesus from the dead dwells in me. And He that raised up Christ from the dead also quickens my mortal body because the Holy Spirit is living in me. Thank you father for the Holy Spirit. Where would I be if You didn’t father me? Isaiah 54:14 ~ I thank you Lord, because of Your shed blood I am established in righteousness. I am far from oppression, I do not fear, and terror shall not come near me. Colossians 3:1-2 ~ Because I have been resurrected with Christ, I seek You Father with all my heart. I set my mind and my affections on You, not on the things of this earth. You are everything to me Lord. Proverbs 3:5-6 ~ I trust in You Lord with all of my heart and I do not lean on my own understanding. In all my ways I acknowledge You, and I trust You to direct my path. Mark 12:30-31 ~ I love You Lord with all my heart, soul, mind and strength and I love my neighbor as myself. Galatians 5:16-18 ~ I walk in the Spirit and I do not fulfill the lusts of the flesh. I am led by the Holy Spirit and I am not under the law. 1Corinthians 13:4-8 ~ Father, because You have placed Your great love in my heart, I am patient and kind. I do not envy or boast and I am not proud. I do not dishonor others, I am not self-seeking, I am not easily angered and I keep no record of a suffered wrong. I do not delight in evil but I rejoice in the truth. I believe the best of every person. I always protect, trust, hope and persevere. I never fail. 1 Peter 1:13-21 ~ I gird up the loins of my mind with Your word Father God. I am sober minded and my hope rests fully upon the grace that is mine in Christ. I am Your obedient child, and I am not conformed to former lusts. I am holy in my conduct as You are holy. I walk in reverence toward You Lord. You are amazing. Proverbs 3:9,10 ~ I honor You LORD with my possessions and the first fruits of all my increase. I overflow with material and spiritual blessings. Romans 5:17 ~ I, having received abundance of grace and the gift of Your righteousness do reign as a king in this life by Jesus Christ. Isaiah 54:13 ~ All my children are taught of the Lord, and great is their peace. Psalm 23:4 ~ I fear no evil for you are with me Lord, your Word, and Spirit they comfort me. Proverbs 21:23 ~ I guard my mouth and my tongue and I keep my soul from trouble. I let nothing come forth from my heart, no word or action that would defile me. Psalm 112:1-7 ~ I am blessed because I fear You Lord and I delight greatly in Your Word. My descendants are mighty on the earth and they are blessed. Wealth and riches are in my house and my righteousness endures forever. I am gracious and full of compassion. I guide my affairs with discretion. I will never be shaken. I am not afraid of evil. My heart is steadfast, trusting in You Lord. Romans 12:1-3 ~ I present my body as a living sacrifice, holy, acceptable unto You Father, for Your habitation. This is my worship to You. I am not conformed to this world, but I am transformed by the renewing of my mind to Your word. I do not think of myself more highly than I should think, but I think soberly according to the measure of faith You have dealt me. Posted in Christianity, confession, Faith, identity, Victorious Living! Why are we so acutely aware of our faults and shortcomings? What is it that makes us focus on the fallen nature and distracts us from focusing on our new, redeemed nature? This is not a prayer problem, its a truth problem. We suffer from a lack of understanding of who we are, and what we have become because of the blood of Christ. We are a sin conscious people, lacking a revelation of the magnificent gift that has been given to us by our Heavenly Father. Guilt – Is a belief that you are not forgiven. Condemnation – Is belief that your life is worthy of judgment. To be conscious of something is to be very aware of it. Many believers think that the awareness of sin, (having a sin consciousness) will help avoid sin. If we think about our wrong doing, feel the shame of it, carry the guilt of it then it will deter us from repeating those things. What New Covenant scriptures is that based on? That is the old belief system, Old Testament thinking. The problem is, that didn’t even work in the Old Testament. At best sin consciousness will only lead to more sinning! Grace is all about His ability! Grace takes the focus off ourself and puts it on Christ. This is how we live by faith and not by sight. This is how we walk in the Spirit. This is how we step into His ability. 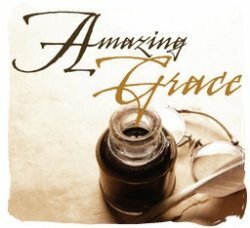 Instead of trying to overcome sin, rather focus on how we can fill our hearts and minds with the word of God and the grace of God that declares He has forgiven all our sins, past present and future, that He has made us perfectly righteous with His own righteousness and no sin can make us unrighteous. What we focus on we move towards. What we think about all day is the atmosphere we create around ourself. Do we really want a sin atmosphere around us all day? And we wonder why we struggle so much with sin. It’s because our mind is constantly focused on it. If we meditate on the grace of God and fill our heart with Christ consciousness and righteous consciousness, even if we do sin, keep the focus on Christ, and we will see the desire and pull of sin diminishing in our life with very little effort, and the life of God expanding in our life! When we think right and believe right, living right will follow. Acknowledge what we are, and the corresponding actions will follow. Believing we are righteous and holy causes righteous and holy fruit to grow in our life. The fruit will be true to the tree, so make the tree good and the let tree do its thing. One morning, as I was making these declarations, the Lord spoke to me and asked, “What are you doing?” I was quiet for a few seconds and then answered, “well, ummmm… I am confessing your word Lord.” He replied, “You are applying Truth Pressure.” That was the end of that conversation. By declaring God’s word, we set ourselves in agreement with Him and establish a stronghold of truth about our identity in Christ. It enables the transforming power of God’s grace to mold and shape us into what He wants us to be, keeping us spinning on the potter’s wheel. Posted in Christianity, confession, Faith, Grace, identity, Prophetic, Righteousness, the power of words, the spoken word, Thoughts, Victorious Living!